That's the year my grandparent's got married. It's amazing think how much has changed since 1939 and they've been together through it all. 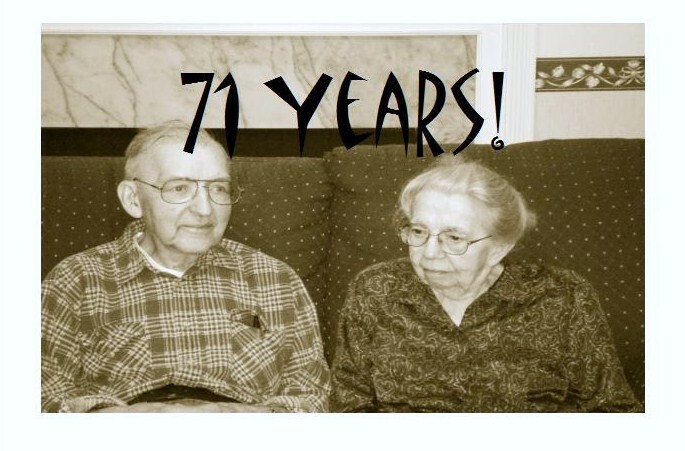 They're both in their 90's, which is amazing enough itself, and that means they've been married for over 75% of their lives. This of course is the front of the card I made for them. I made it kind of sepia toned just to give it that long time feel. And I love this picture of them.